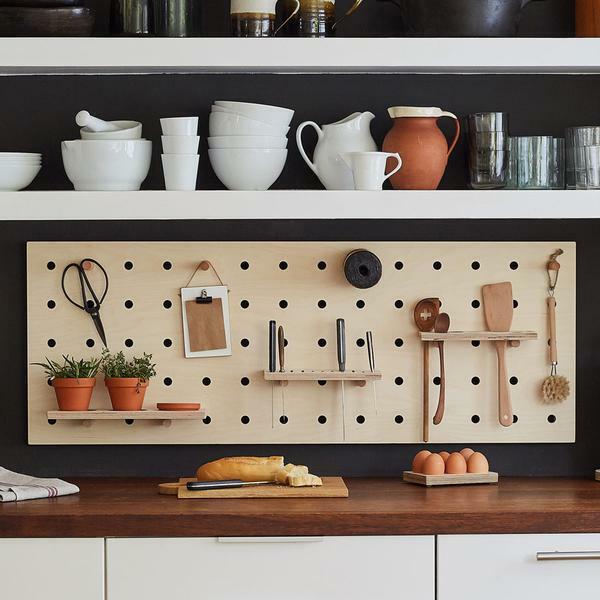 Contemporary kitchen pegboard designed and handcrafted in London from sustainably sourced wood. 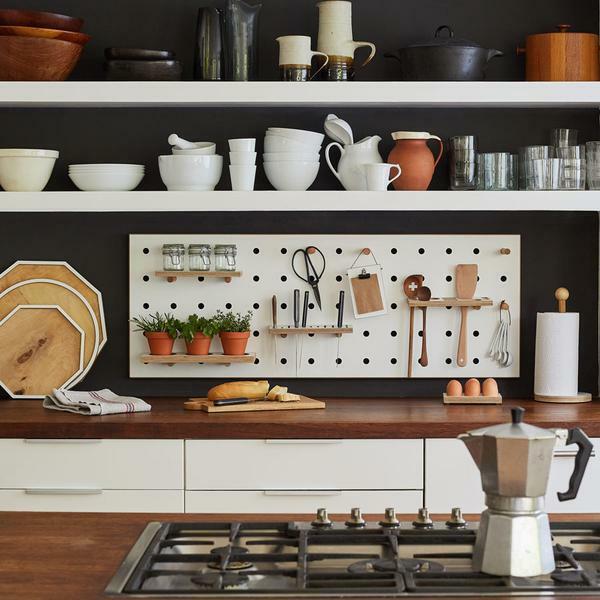 Comes with a range of new accessories designed for the kitchen including a knife rack, utensil rack, condiments tray and pegs to provide a complete kitchen store and display unit. 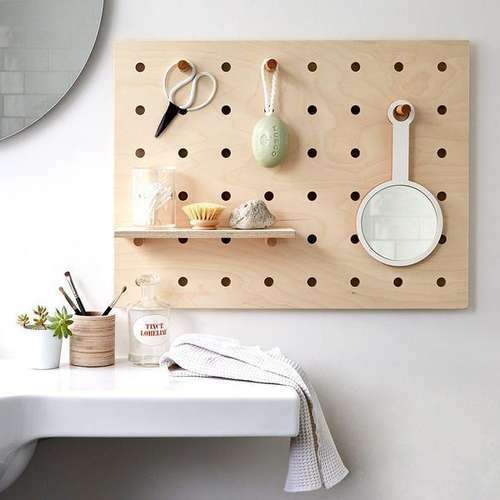 Choose from a natural or white finish and vertical or horizontal shape. 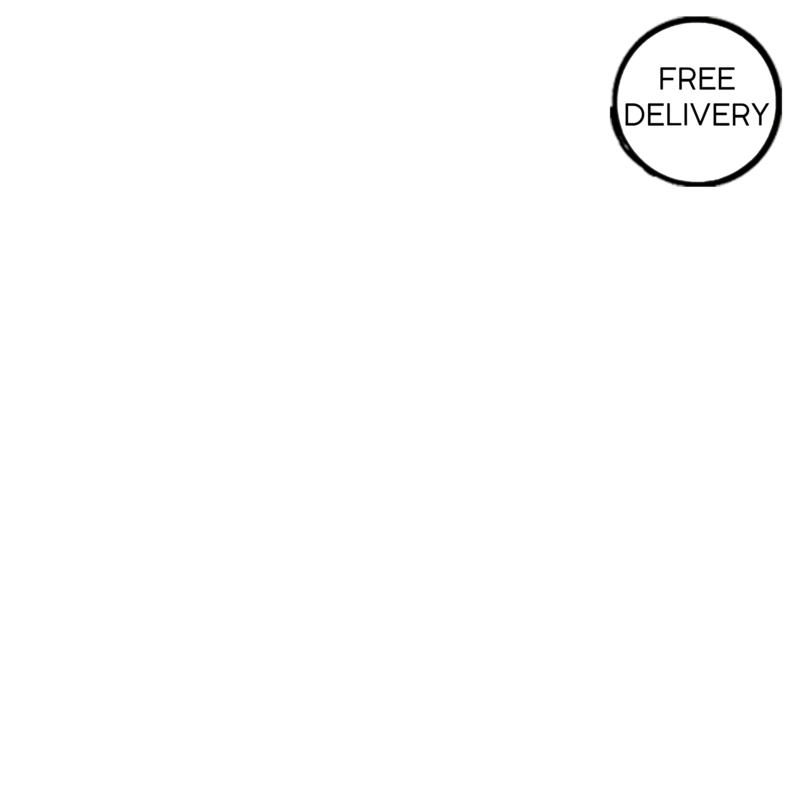 Board Size: 42cm x 114cm. 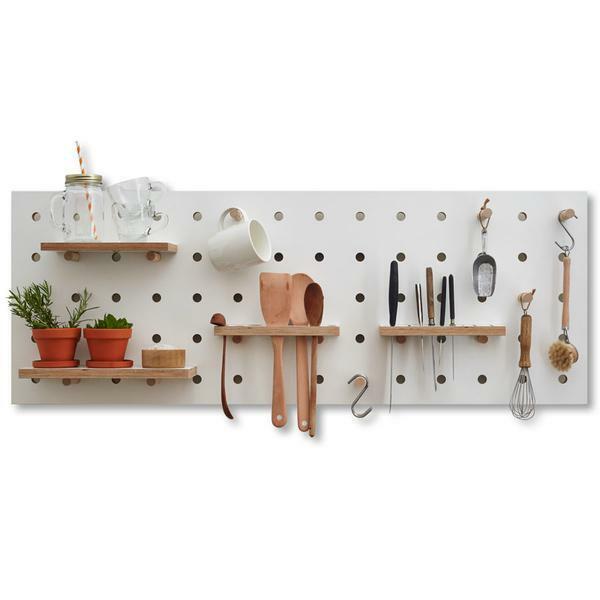 1 x Knife holder - 12cm x 24cm. 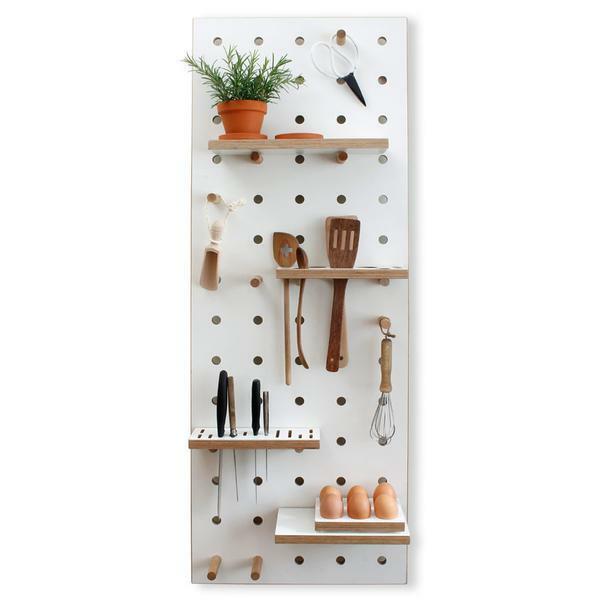 1 x Utensils rack - 12cm x 24cm. 1 x Condiment holder - 12cm x 32cm (3 x recesses). 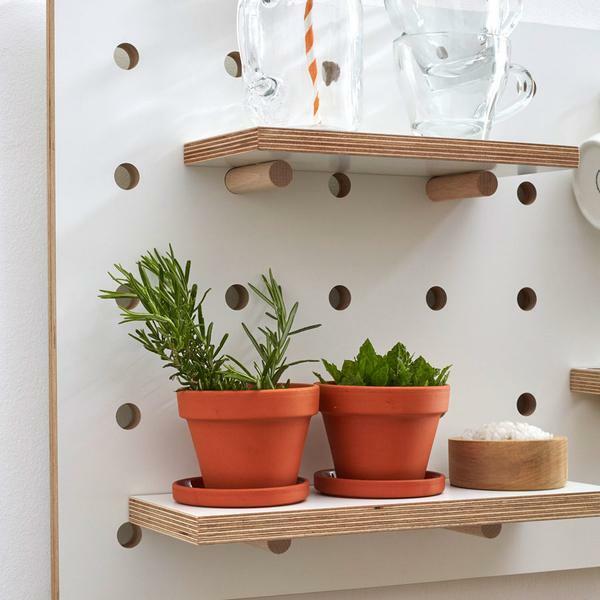 1 x shelf - 12cm x 24cm. 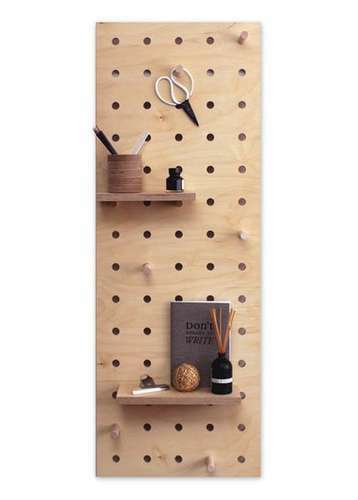 6 x straight pegs - 9cm. Painted in eico environmentally friendly wood paint.